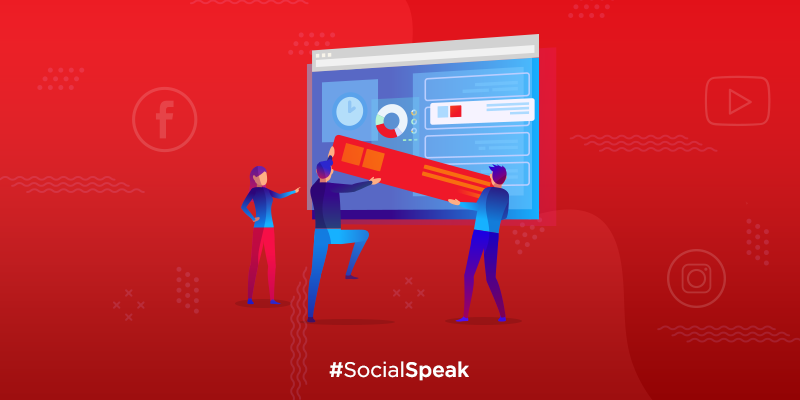 This weeks blog will talk about the various new tools and features on Instagram, Facebook, and YouTube that will make social media for business better. Third-party apps to boost your Instagram fame is a no go now. The Instagram app is battling fake accounts and bots to axe inauthentic activity in order to keep the platform real and genuine. “Machine learning tools will identify accounts that use these services and remove inauthentic likes, follows and comments.” Accounts will be notified before their “fake love” is removed from the platform. Among other Instagram updates, and just in time for one of the highest shopping seasons, the app is adding three new shopping tools to their platform that will help make shopping much easier and smoother. Shopping Collection is a tool which will basically allow people to access a personal wishlist where they have gathered new products they want to order. Shop on Business Profile will ease users search for specific brand’s products, as it will allow users to access a complete list of products with the shop tag. Shopping Tags on Video will allow a list of products to be featured in videos on the app. These tools will certainly be a great benefit for many stores. How will you take advantage of them? If you are a business who uses groups to stay connected with customers, potential customers, and opportunities, then you will love this new feature! Admins of groups will be able to make sure they never miss any relevant discussions by setting up certain alerts for products or “intent-related keywords”. Certainly, this new alert would not necessarily raise sales however it would be a great new insight and a new way of monitoring. The main purpose of this new tool is to help admins keep an eye on discussions that occur on their pages and monitor comments that come in, so they are able to keep their groups civil and understand when they might need to interfere between other peoples comments or discussions. Facebook has yet to release an official statement regarding this update, but we will certainly keep you updated! Snapchat kicked it off, then Facebook, Instagram, Whatsapp, and even LinkedIn followed their footsteps, so it only makes sense for the video-dominant app, YouTube to get into the stories party too. Joining the easy and fun Stories, YouTube stated, “Just open the YouTube mobile app, tap on the video camera icon, and select Create Story”. Stories posted by creators you follow will start showing on the top of the mobile app just like they are seen on Instagram or Facebook. The YouTube stories will last for 7 days instead of the usual 24 hours because it will only be eligible for creators that have 10k+ subscribers. Who knows, maybe eventually this tool will be eligible for all creators. This addition to YouTube makes a lot of sense, as stated before it does have a video-dominant nature. Also, with billions of people using Stories daily across so many platforms the tool is inarguably rising and does promote sharing trends which increase engagements. That is your social media update for the week! Stay tuned to the #SOCIALEYEZ blog to stay up-to-date with all that is happening in the social media world!